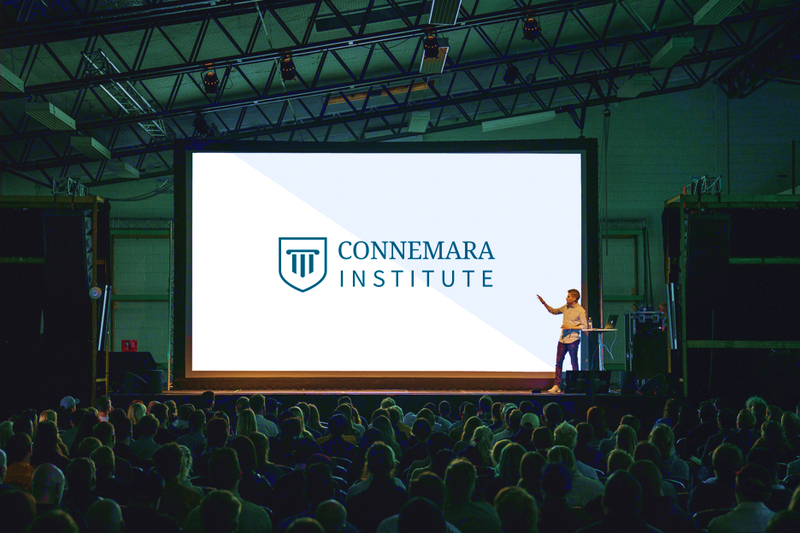 Searching for conference branding inspiration? Here are 9 conferences making a splash in 2018. Since we added conference branding to our abstract management software, our support team has been keeping an interested eye on the wide world of conferences and design. They like what they see. From memorable conference logos and striking images, to conference websites that make an impact, here are Roseann, Jelena and Shannon’s picks of the best conference branding so far in 2018. If you’re looking for inspiration, scroll down. The utterly charming logo of the 2018 NLPA Conferencia in San Diego grabs our interest every time we see it. The striking and modern design is unmissable, and it’s a great example of conference branding representing the subject matter of the conference itself. Shannon’s verdict: The nicest logo I’ve seen yet I think! 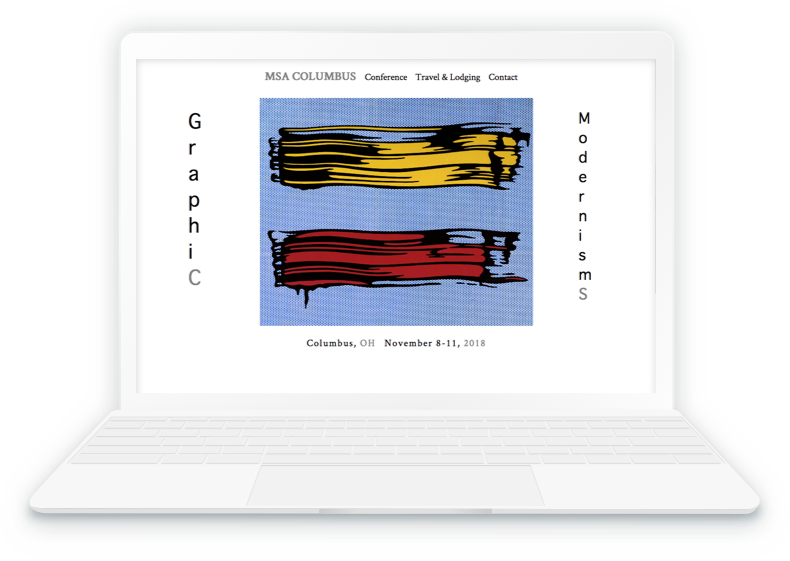 For a conference on modernism, Graphic Modernisms’ branding is spot on. From the pop-art paint stripes to the vertical type, the conference branding does exactly what it’s supposed to do: give potential authors a feel for the event, before they even submit. Roseann’s verdict: A pretty cool conference website. 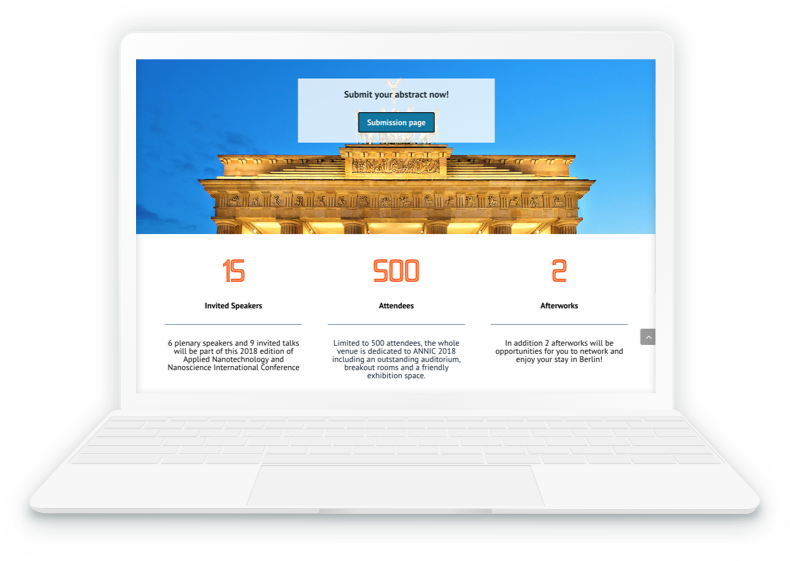 The Applied Nanotechnology and Nanoscience International Conference 2018 has a lively, helpful website that does a great job of giving you exactly what you need. The conference committee are featured front and centre, and you don’t need to dig to find info – you can reach everything you need in two or three clicks. A good reminder that conference branding isn’t just about the colours or images, it’s also how event info is displayed. Jelena’s verdict: Easy to navigate and easy on the eye. 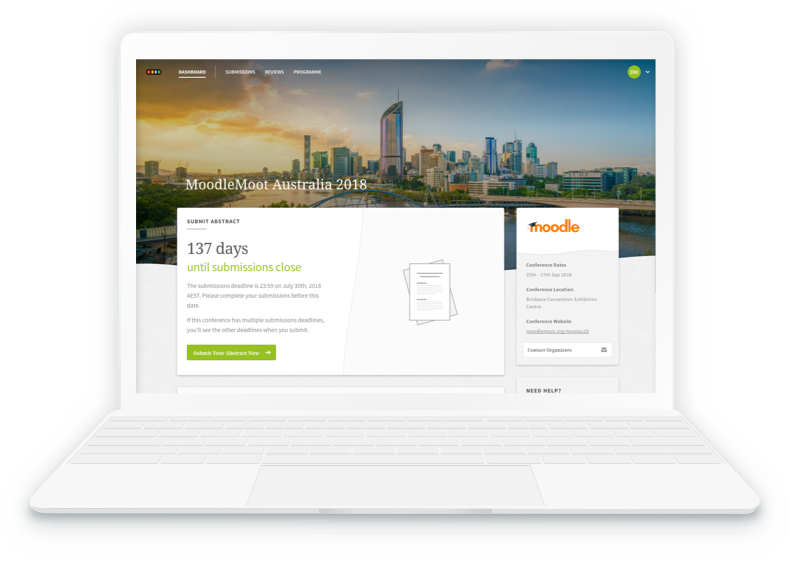 MoodleMoot is a global learning platform with conferences around the world. We host lots of MoodleMoots on our conference management system, and each and every one of them use beautiful cityscapes in their conference branding. Like this golden shot of Brisbane for MoodleMoot Australia 2018. Roseann’s verdict: Wish we were there. 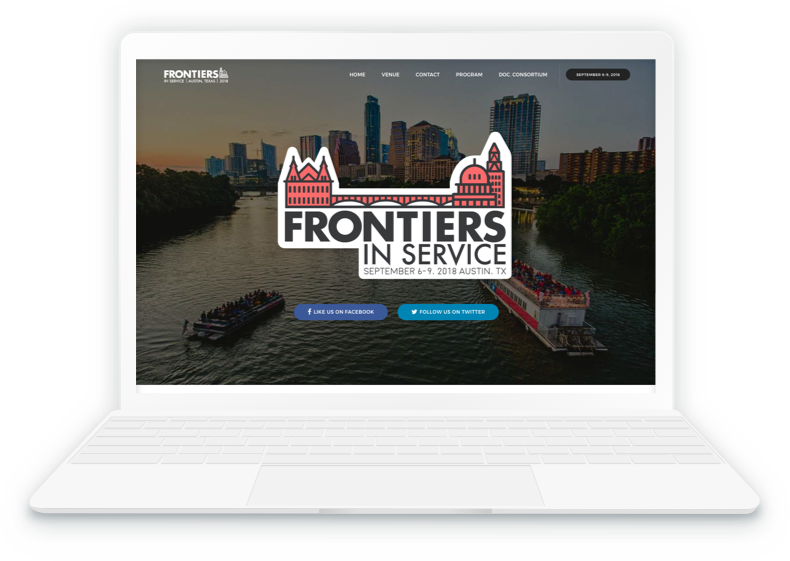 The Frontiers in Service 2018 conference branding is just lovely. 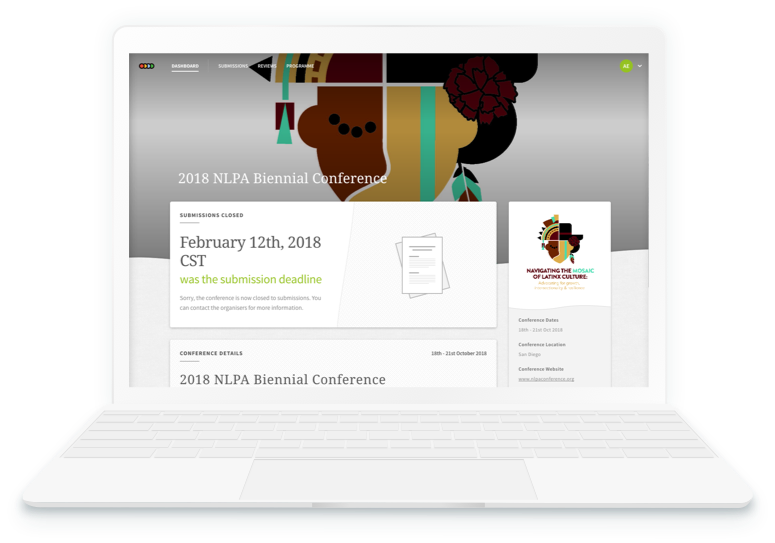 The logo is friendly and playful and the conference website is bright and easy to navigate. 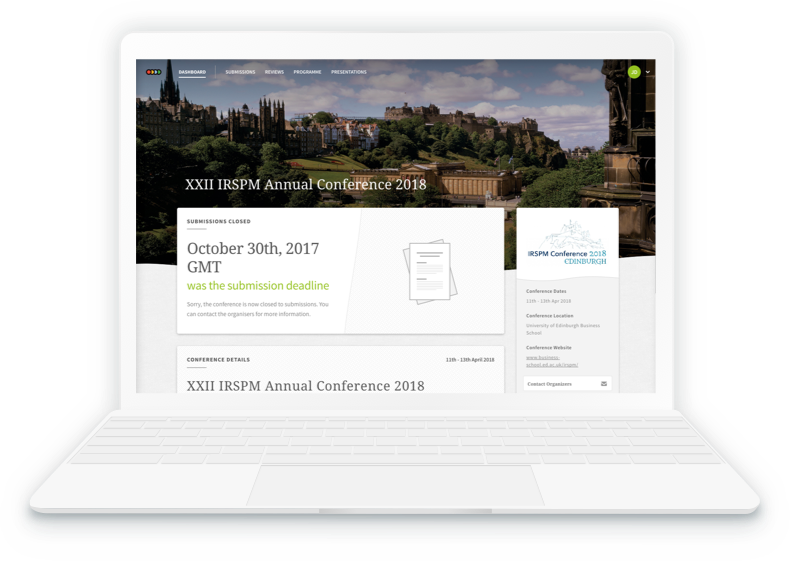 And to make life easier for potential delegates, the website is packed full of info about the conference’s destination city – Austin – along with lots of info on the event itself. Shannon’s verdict: A conference website that sells itself really well. 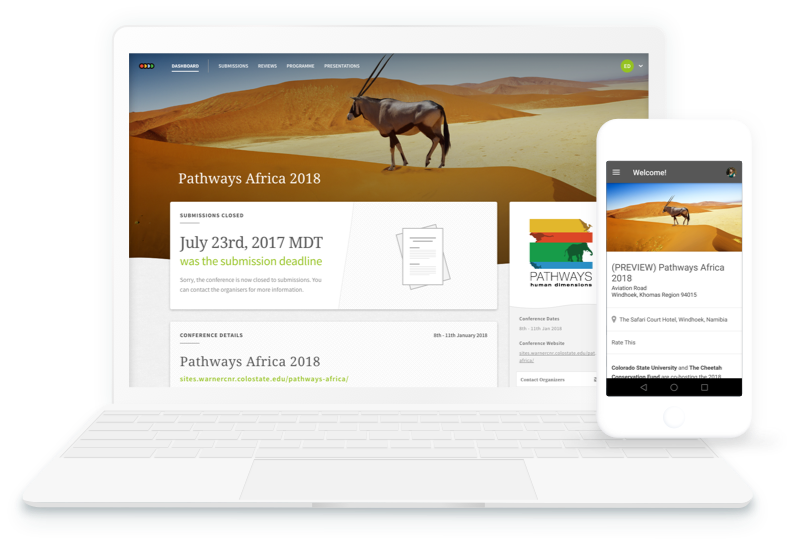 The best conference branding works well on different platforms, and Pathways Africa 2018 are masters at picking beautiful, adaptable images to use. Before we launched our mobile conference app earlier this year, Pathways were nice enough to help us test it. Which meant this image of a regal-looking gemsbok greeted every researcher who submitted their work through Ex Ordo and downloaded the Pathways conference app. Jelena’s verdict: Branding that brings this conference to life. 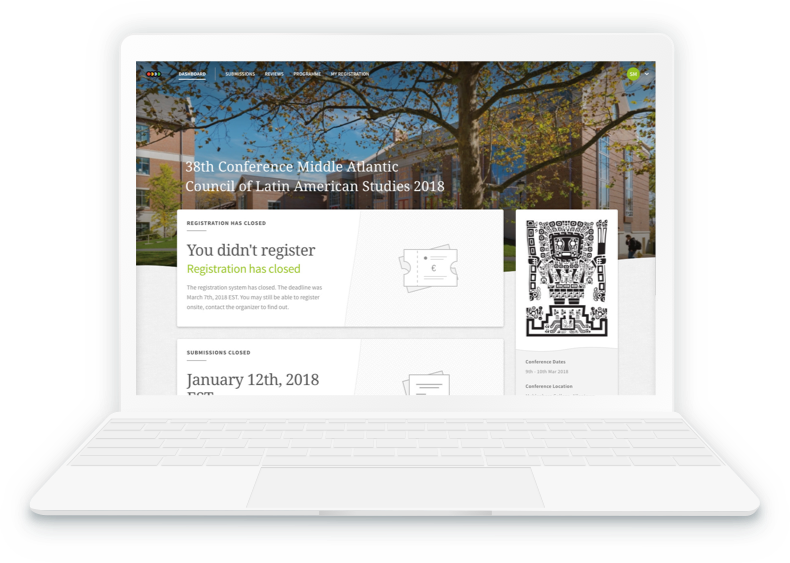 We’re a little bit in love with this logo for the 38th Annual Conference of the Middle Atlantic Council of Latin American Studies 2018. Great conference branding catches the eye. And we’ve seen hundreds of conference logos uploaded to Ex Ordo, but this one – an intricate prehistoric icon from an ancient Bolivian culture – really stands out. Roseann’s verdict: One of the best conference logos I’ve seen. The organisers of the IRSPM Annual Conference 2018 have enviable visuals as part of their conference branding package. The beautifully sketched logo of Edinburgh Castle is matched by the scenic shot of the castle in the background, perched on top of Edinburgh’s extinct volcano. Jelena’s verdict: A logo that will look great anywhere. 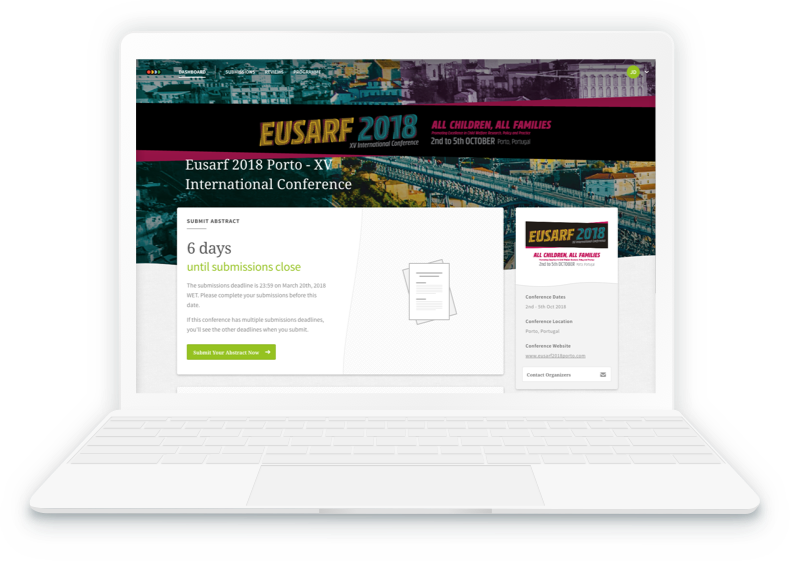 EUSARF 2018 in Porto makes a splash with conference branding that has a graphic novel vibe. The blocky font, bright colours and animation stylings give this conference an air of activism and excitement. Shannon’s verdict: An inspiring mix of colours and comic book stylings. Conference organisers: if you’re looking for conference branding inspiration in 2018, take note. These conferences are doing it right.